The GBOPHB (General Board of Pension and Health Benefits) has been studying the trend of growing church expenditures amid declining U.S. membership in order to project and sustainably manage retirement fund assets. “The global economic downturn in 2008 decreased the value of retirement plan assets and that means higher annual conference costs and higher church costs for pension benefits,” according to representatives of the GBOPHB. As a result, the GBOPHB is proposing changes to the pension plans in order to adequately meet the retirement needs of plan participants while also balancing affordability and sustainability for the Church. The goal of these changes is to minimize the financial impact on retiring pastors and other beneficiaries, as well as to reduce costs for annual conferences and local churches. 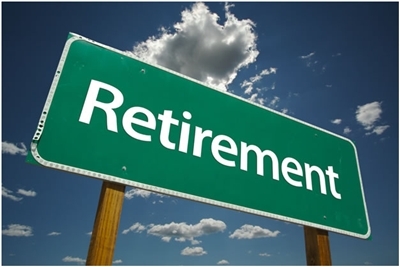 To that end, the GBOPHB is proposing two options for changes to the Clergy Retirement Security Program (CRSP) and the predecessor plans – the Ministerial Pension Plan (MPP) and the Pre-82 Plan – that are in its supplements. Of the two new designs, one is a slight revision of the current CRSP (Clergy Retirement Security Plan). The other plan is a Defined Contribution plan that is similar to conventional “401k type-plans” offered in many other organizations. Both options are expected to yield a 15% overall cost decrease for the Church. As for the impact on the plan participants, an individual’s benefits will vary according to the variations in the formula of each proposed option. Proposed changes have been studied and reviewed by the Florida General Conference delegation and the Conference’s own Board of Pension & Health Benefits (CBOPHB). If changes are approved, Florida is ready to provide clergy with the information to understand the change and what, if any, action is needed by participants. Wendy McCoy, Conference Benefit Officer, is ready to field potential questions and concerns. “We are prepared to begin implementation and communication with Clergy if changes are approved by General Conference,” she said. “Any changes approved by GC will likely not be effective for at least another year” said McCoy. It’s important to note that these proposed changes would not impact benefits for currently retired clergy. None of the changes being proposed reduce benefits already being paid or already earned under the existing plans. Participants nearing retirement are expected to see relatively little impact because they will have few years under any “new” plan. More detailed information is available on the GBOPHB’s website. Florida Conference clergy who would like to share their input may contact members of the Florida delegation by clicking here. To take advantage of this valuable resource, just call Ernst & Young directly at 1-800-360-2539.